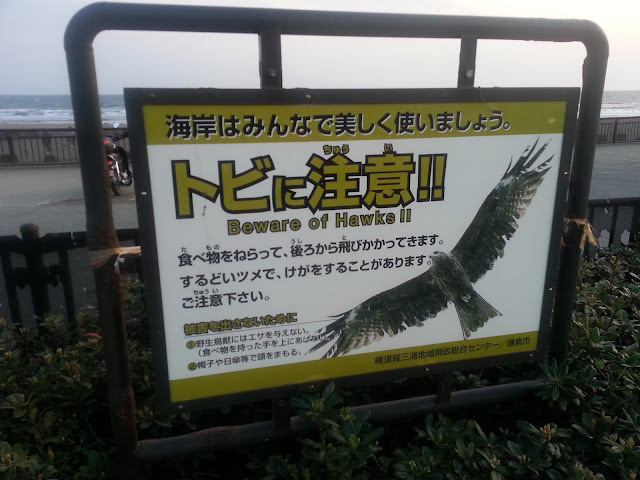 I had a free day recently and decided to head down south to Kamakura again. I have written about Kamakura here and here previously. Kamakura is a place that I will probably go to more often than other places as it is so close to Tokyo (only about 45 minutes by train from Shibuya) and there are so many things to see and do there! 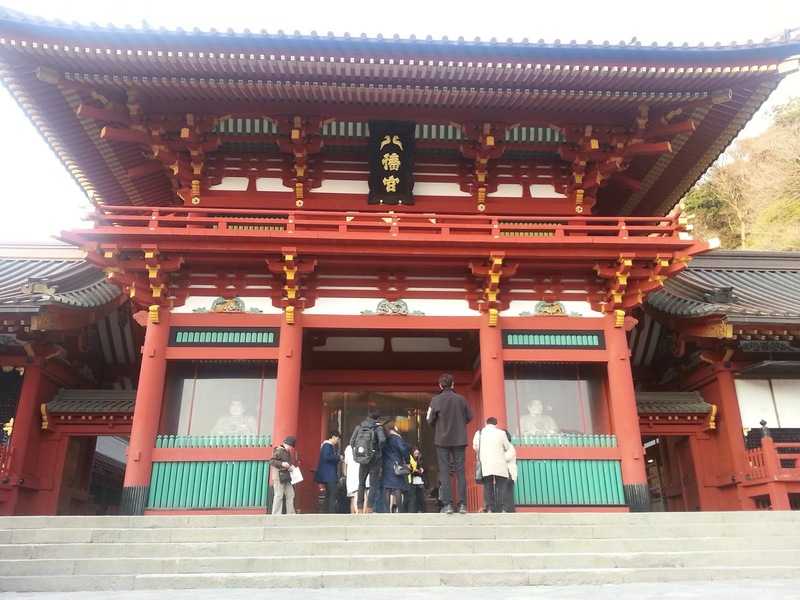 My destination today was the majestic Tsurugaoka Hachimangu shrine that dominates and stands tall watching out over the township of Kamakura. 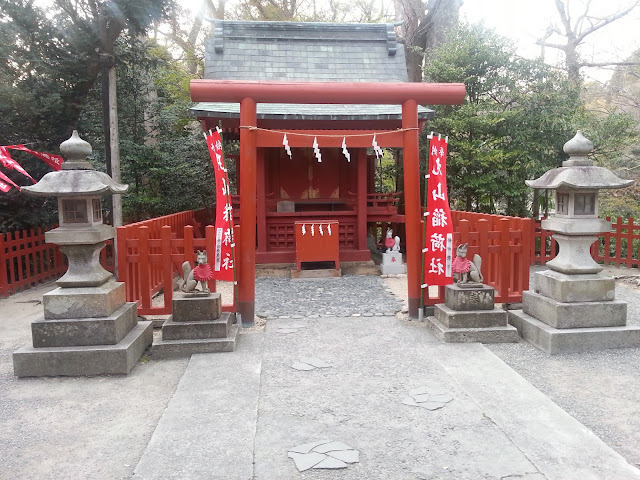 Tsurugaoka Hachimangu Shrine dates back to the year 1063 when it was built to honour the God Hachiman. 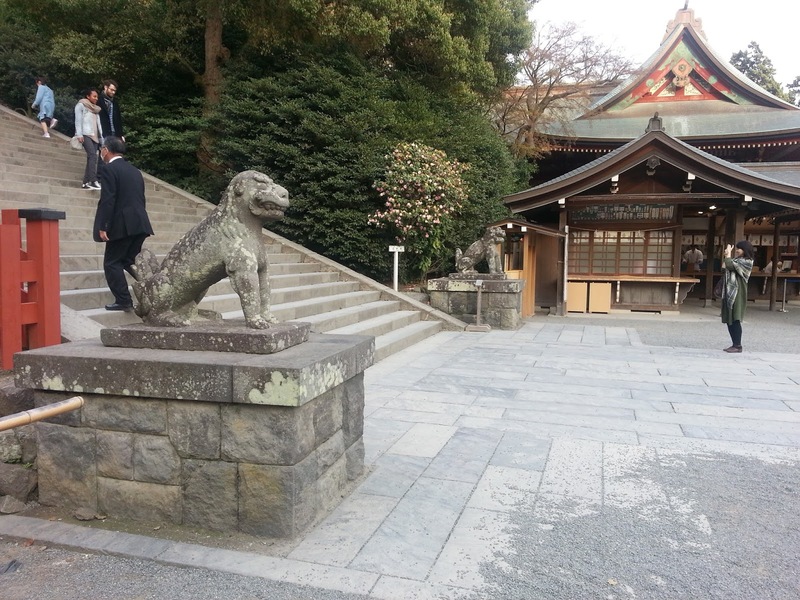 Hachiman is the God of warriors and the protector of the Japanese people, and Imperial family and the country itself. He is also the God that was worshiped by most of the samurai class. 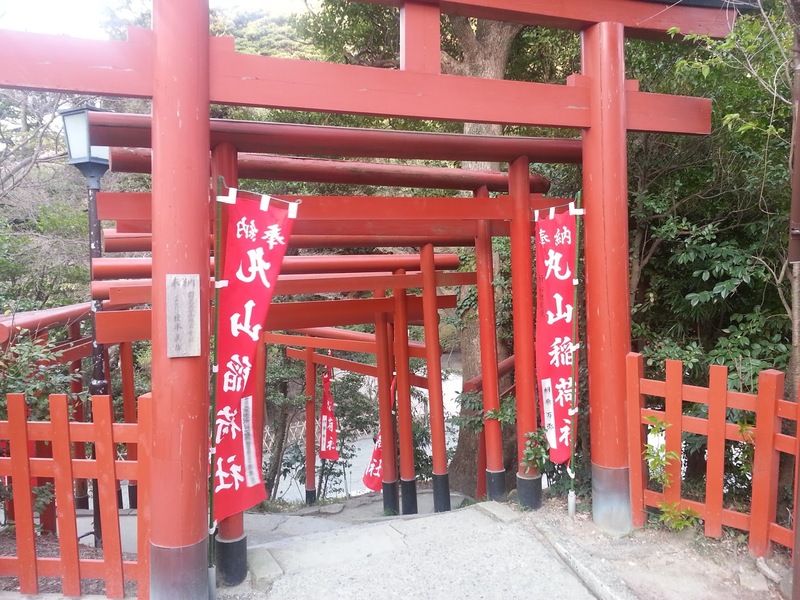 If you travel around Japan you will notice a great many Hachiman Shrines as it is the second most common Shinto sect after the Inari sect which is identified by it's use of foxes as Shrine guardians. 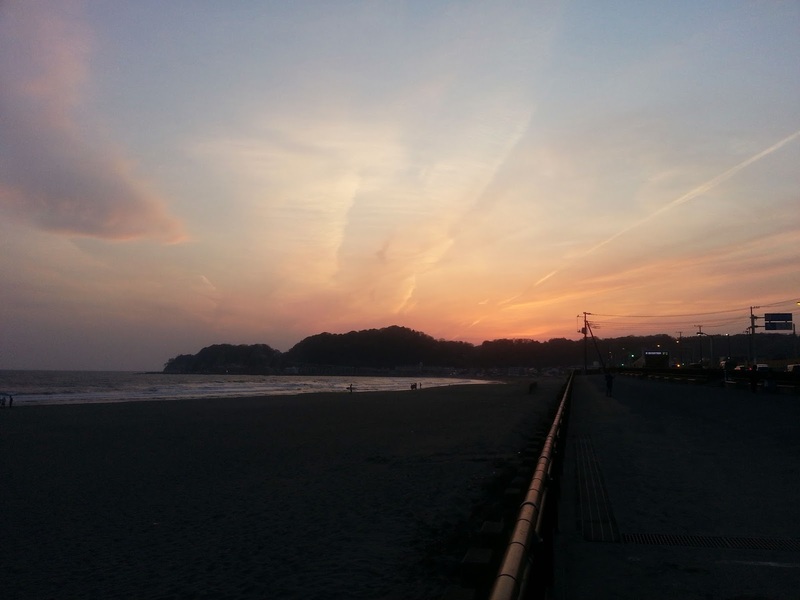 It was originally located much nearer the beach at Kamakura in the area that is now Yuigahama. It was later relocated to Kobayashi village before finally finding it's current home overlooking Kamakura at the beginning of the Kamakura period. The city of Kamakura was the capital city of Japan for all of the Kamakura period (1185 - 1333) and the Shrine became a national religious authority and an Important Cultural Property of Japan. Exiting Kamakura station I made my way over to Komachi shopping street. If you exit the station, simply look to the left and you will see this. If you don't, you have gone out of the wrong station exit. Yes, it was quite crowded here too! 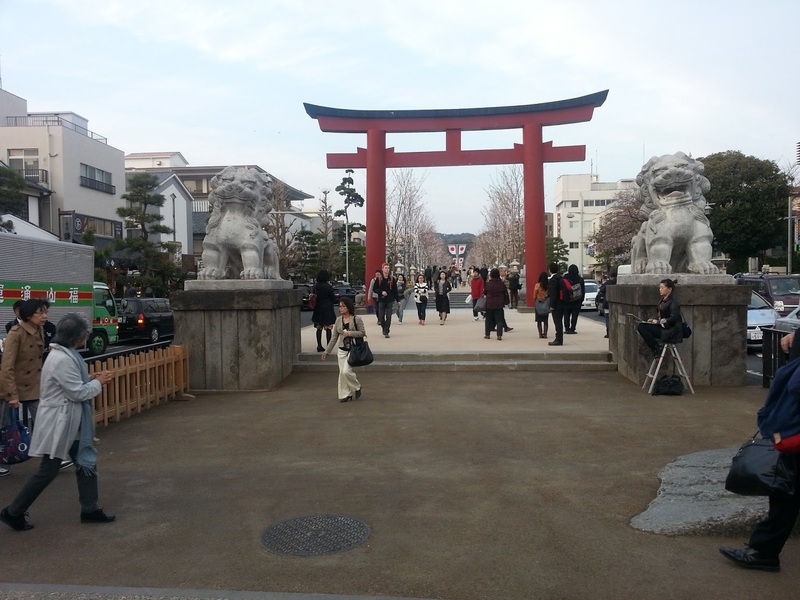 Tsurugaoka Hachimangu Shrine is a popular place for people to get married and, sure enough, there was a wedding happening this day, as well! 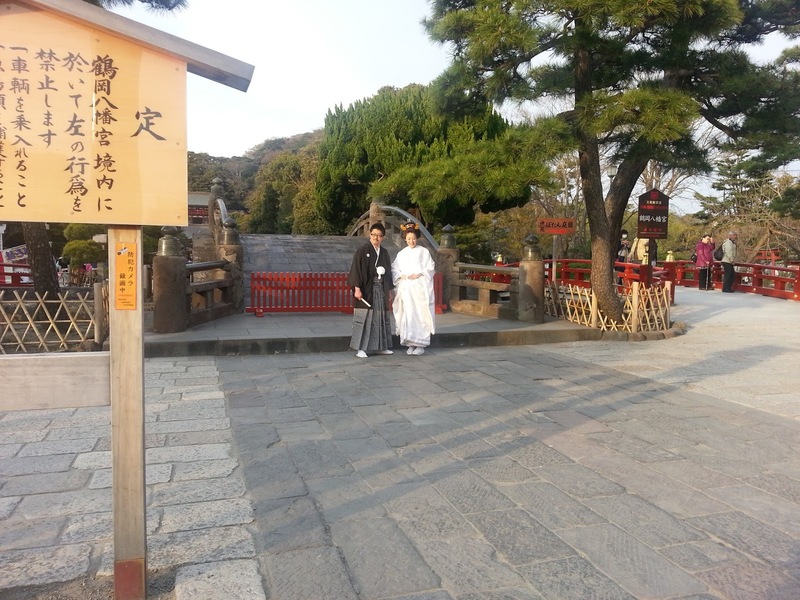 I wondered how the happy couple felt sharing their day with the thousands of other visitors to the shrine! 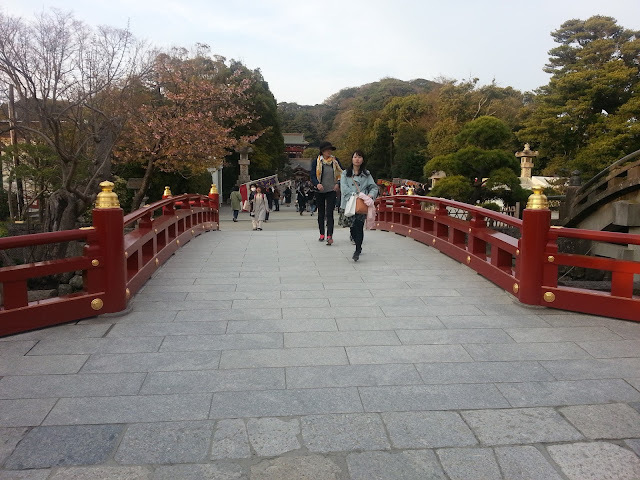 Crossing over the bridge, I made my way into the Shrine grounds. 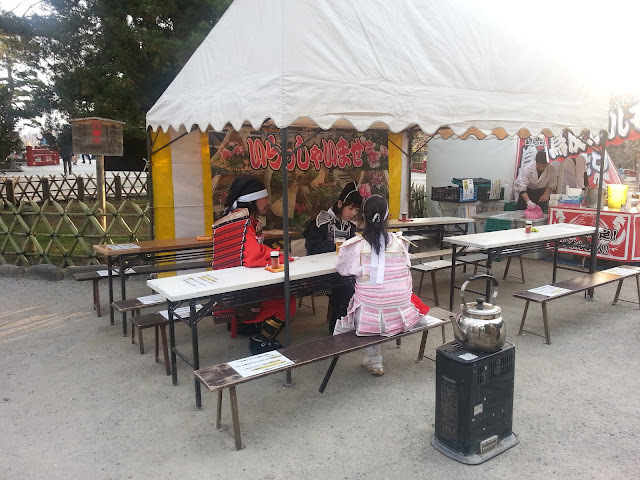 Inside the grounds were a number of food stalls which are usually only present at Shrines for festivals or New Years Day. 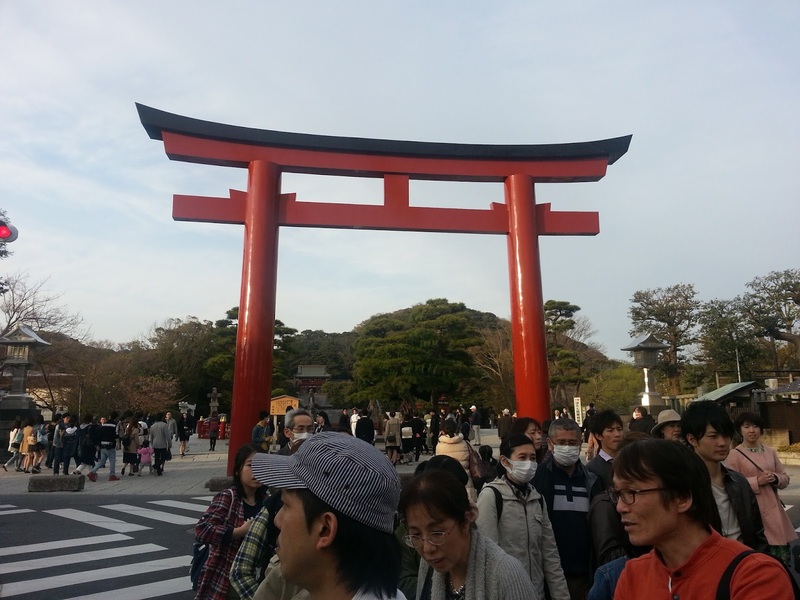 Probably the shrine has so many visitors each day that they are a permanent fixture! Within the grounds of the Shrine there are a number of Shrines and soon after entering I headed off to the right to take a look at one of the smaller ones. 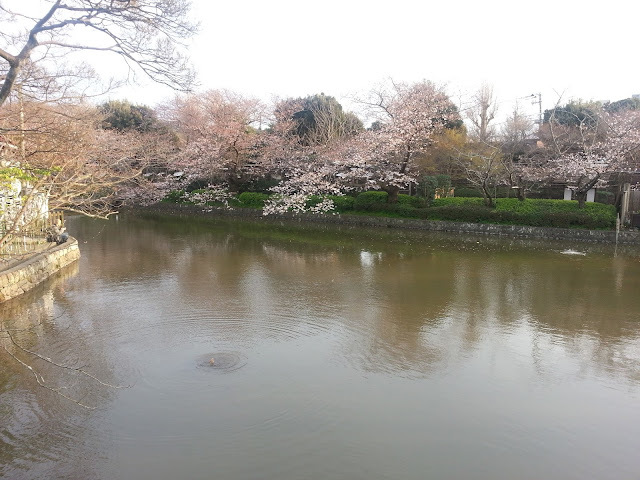 There were some cherry trees that were just beginning to blossom (I actually visited here a couple of weeks earlier than my cherry blossom post which you can check out here). 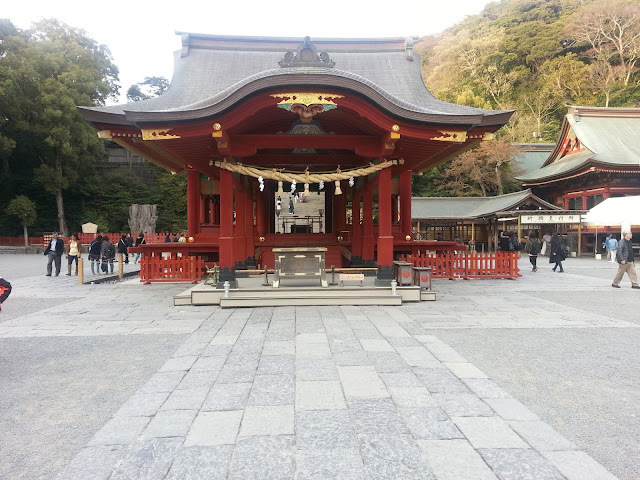 The red shrine was looking beautiful in the late afternoon sun. I turned around to check out the sun and was greeted with this! 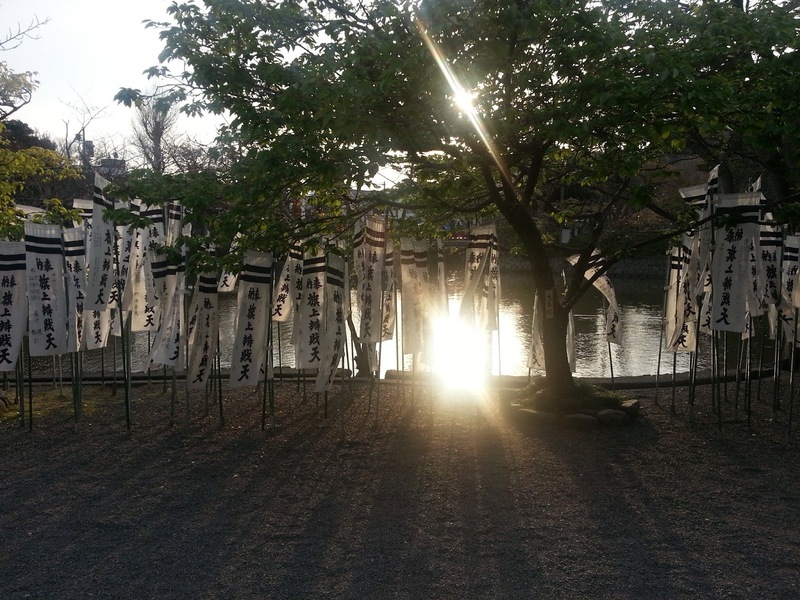 This just accentuated the beautiful tranquillity of the place. 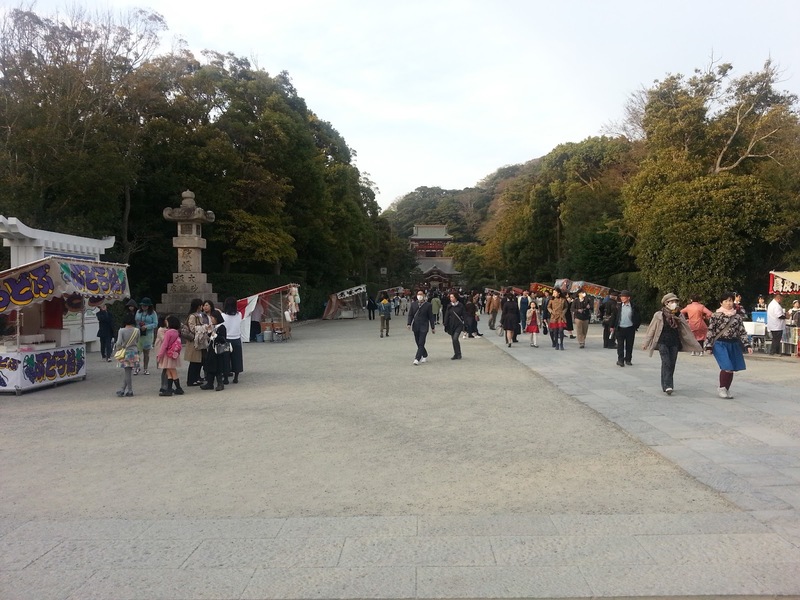 Walking back to the main area, I passed a couple of samurai enjoying a nice cold beer. A little further on and I was approaching the main shrine area. Just to the right of the Guardian komainu (lion dogs) used to stand a 1,000 year old ginko tree. I say used to as in the early morning of 10th of March 2010 it was uprooted during a storm. All that is left now is a stump, however, the roots underground are still alive and new sprouts of life can be seen emerging from the ground. It may not be standing, but it is still kicking! 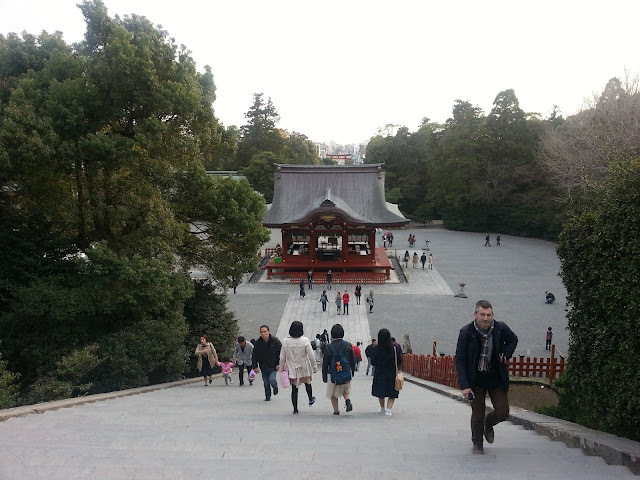 Climbing up the steps I came to the main Shrine. 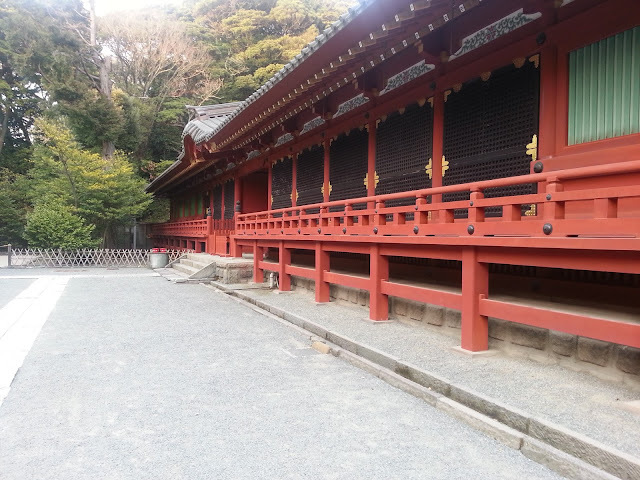 As with most Shrines, inside photos are not permitted so I wandered around the outside taking some shots. Turning left of where this shot was taken, I saw another Shrine gate. The mass of red Tori (Shrine gates) meant only one thing, an Inari Shrine. 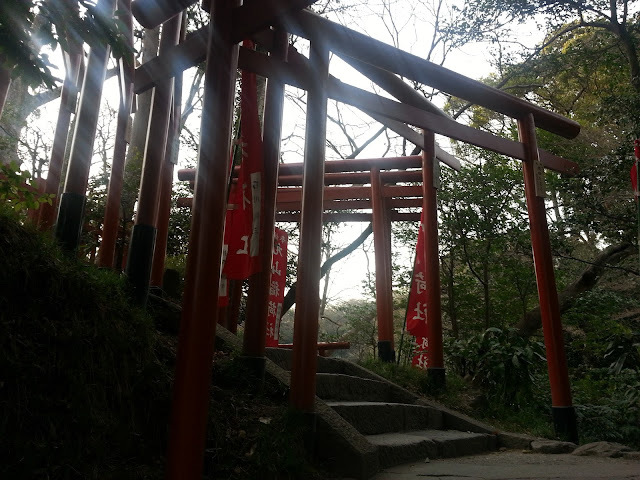 The original location for this Inari Shrine was where the main Shrine is located, however, when the main shrine was moved to this location, the Inari Shrine was moved to its current location. 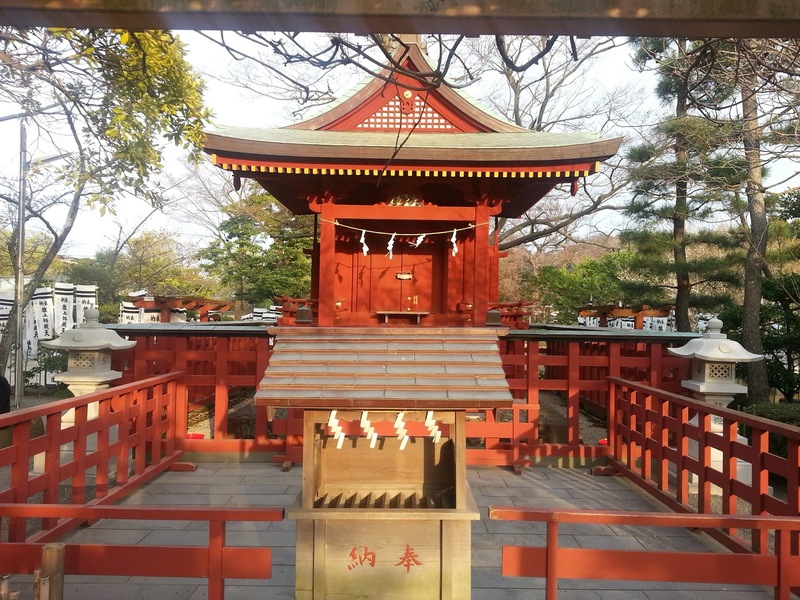 The really interesting thing for me (and this may be quite normal, but it is the first time I have noticed it) is that Shrines for 2 different Shinto sects were located within the same Shrine grounds! 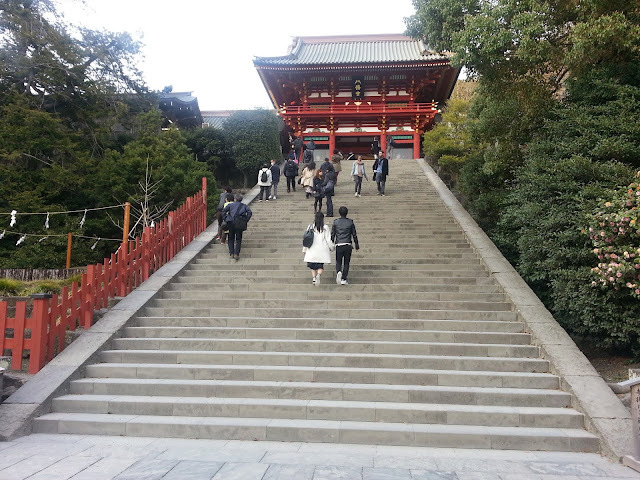 I decided that it was time to leave and made my way back down the stairs to leave the shrine. I exited the Shrine and decided to make my way down toward the beach. 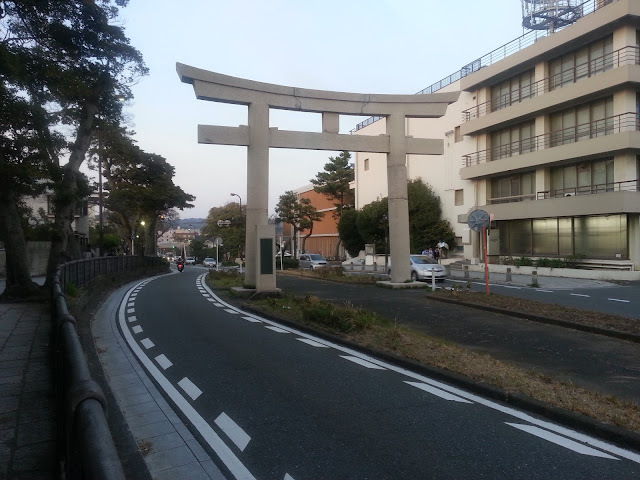 Walking out of the Shrine, I crossed the road to where there is a walkway that runs down the middle of the street with cars passing by on either side. 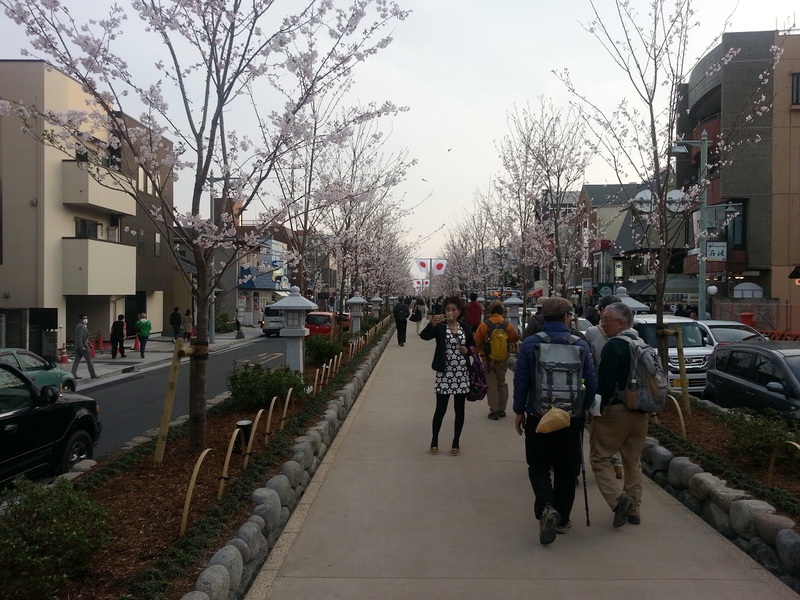 In the future, this is going to be a very picturesque walkway in spring time as it is lined with young cherry trees! 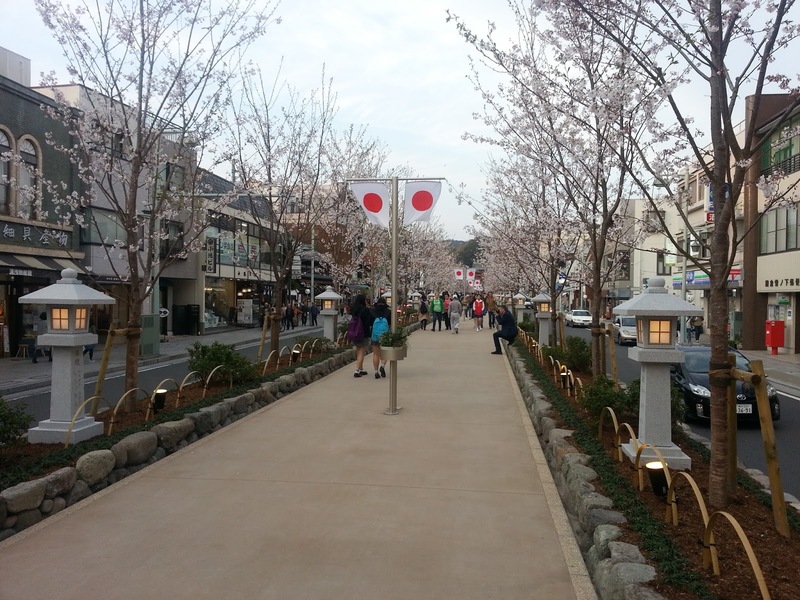 The atmosphere was fun and festive with everyone strolling along enjoying the the flowers which many consider to be the national flower of Japan. 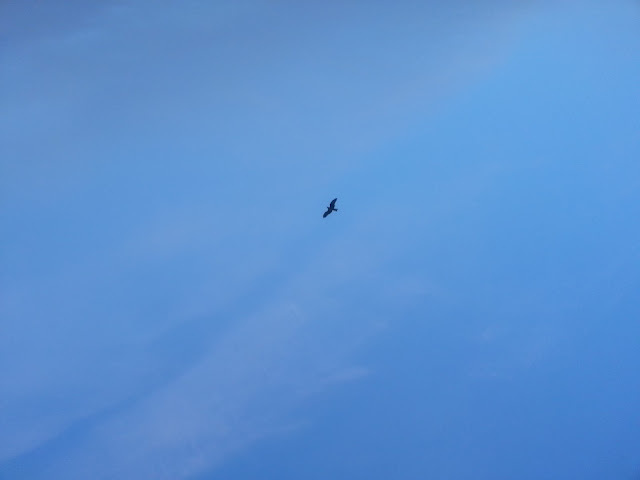 Overhead the kites were joining in the fun and frivolity wheeling, circling and looping in the sky, screeching out in delight! Remember at the start of this post I spoke about how Tsurugaoka Hachimangu Shrine dominates Kamakura, well these next couple of shots demonstrate just that. 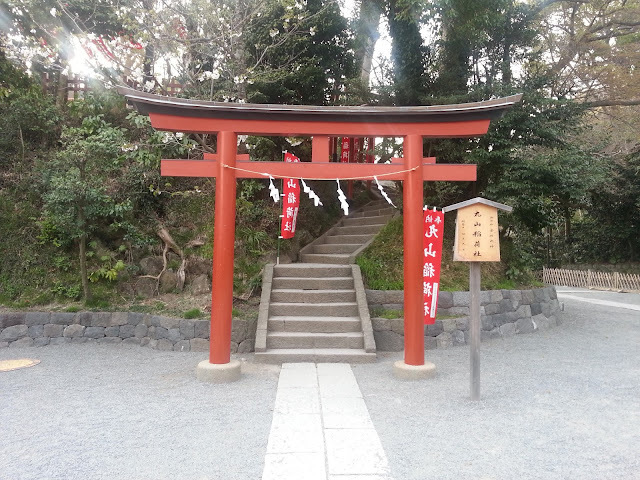 After having walked for about 15 minutes I came across another of the Tori (shrine gate) that marks the entrance to the Shrine, maybe a good 700 or 800 metres away from the Shrine itself! 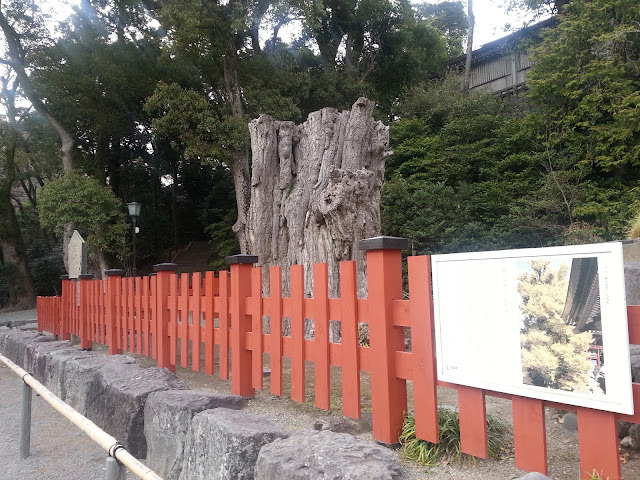 A further 800 or so metres away lies a third Tori, only about 500 or 600 metres away from the beach. While I have seen Shrines with multiple Tori before I have not seen them so far apart! 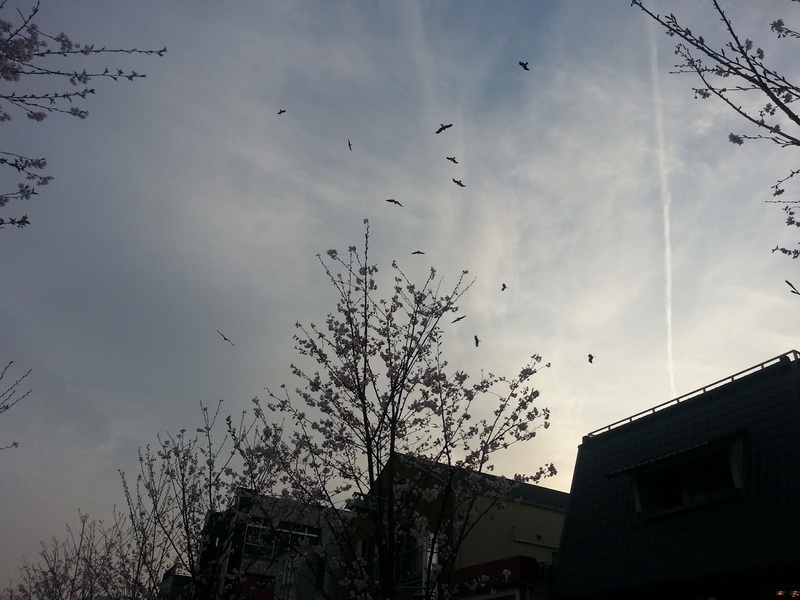 although not in the same numbers as earlier, the other kites clearly preferring the merriment of the cherry blossoms to the beach. 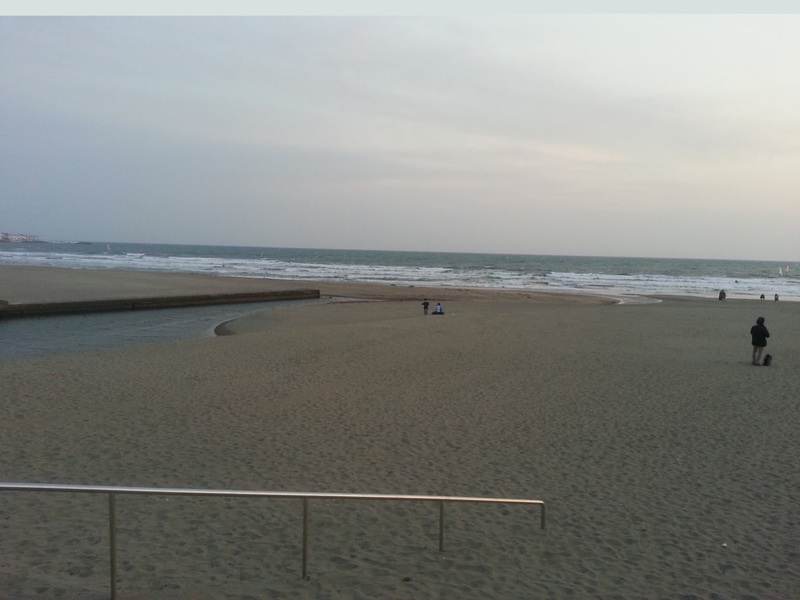 I had reached the beach and I took a long, deep breath and revelled in the salty sea air that entered my lungs! 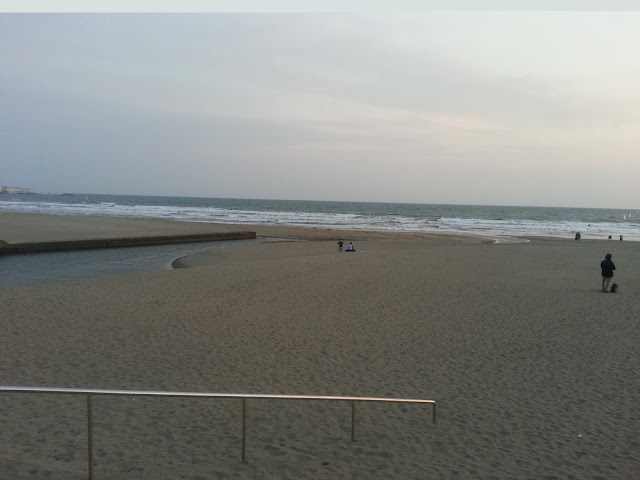 I have lived all of my life near the beach and, especially in my younger years, it played a big part in my life. Fishing with my Grandfather and Uncle, swimming with my brothers, sisters and friends and to this day, the beach just makes me feel free. It turned out that I had arrived at the perfect time as the sun was settling in behind the horizon and the sky was glowing red, orange and yellow as though a bushfire or a wildfire was blazing in the distance. Up to the top floor I went and was greeted by friendly staff who asked me if I wanted to sit inside or outside. I asked for outside. 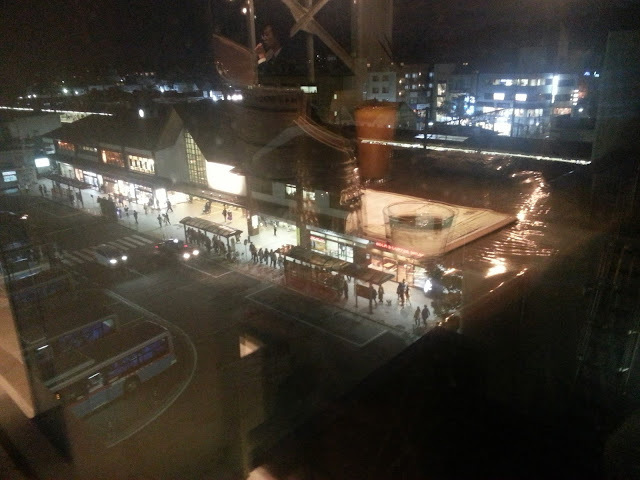 Outside is a covered area which has a view down onto the streets below and I think the tables are kotatsu (heated) tables as my legs were being kept nice and toasty warm!. 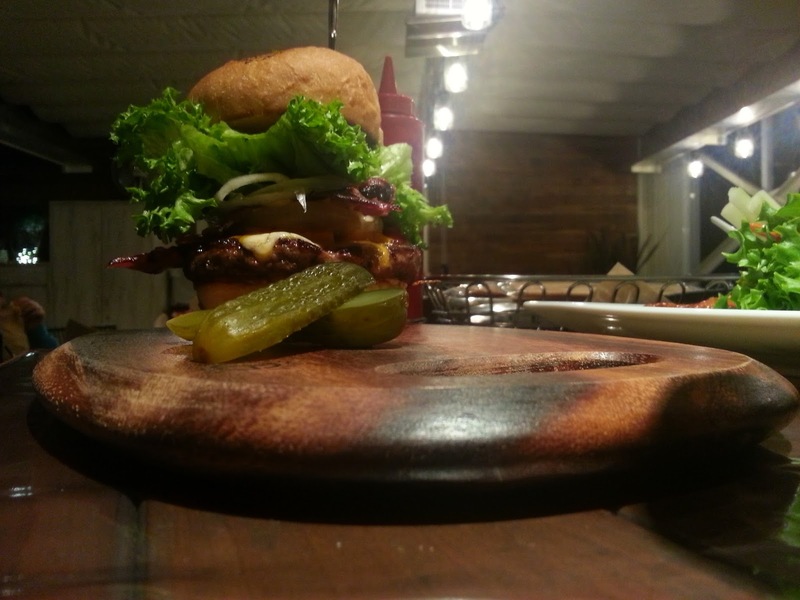 It has an upscale feel to it and the hamburgers are definitely not junk food. These looked like good handmade burgers, or at least the photos on the menu did. 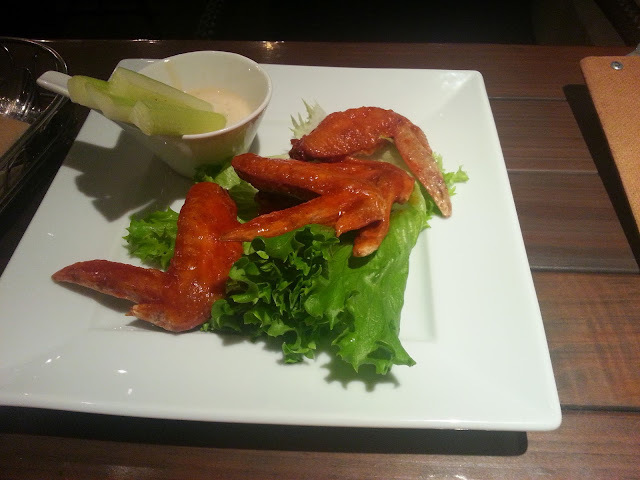 I ordered some buffalo wings which were not spicy but had a beautiful vinegary flavour to the sauce. Delicious! The burger that I ordered was the crispy bacon cheese burger. It came out and it was big! And juicy and well seasoned and scrumptious! 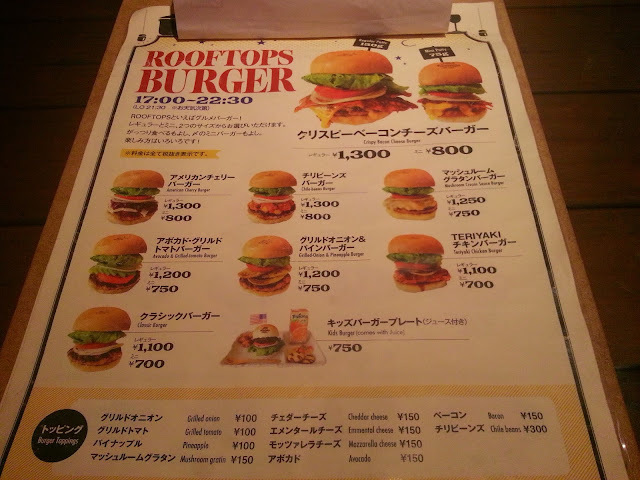 All of the menu items are in both Japanese and English and I have been told that they are working on a completely English menu with all of the menu item's descriptions written in English too. 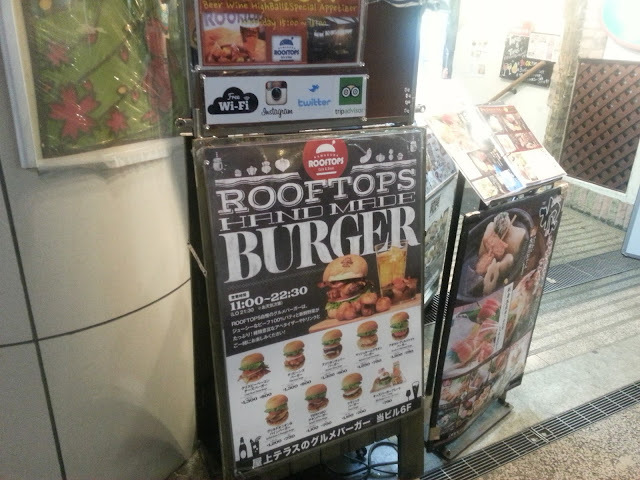 So next time you are down at Kamakura and are craving a burger, definitely check Rooftops out! I'll be going back! 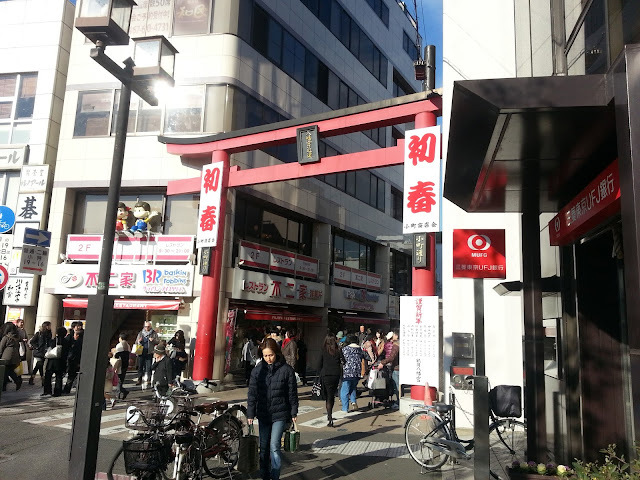 I finished the burger and headed back to the station to make my way back to Tokyo. It had been a great day and I look forward to my next adventure in Kamakura! I like the sound of these beautiful places you visit, Jason. 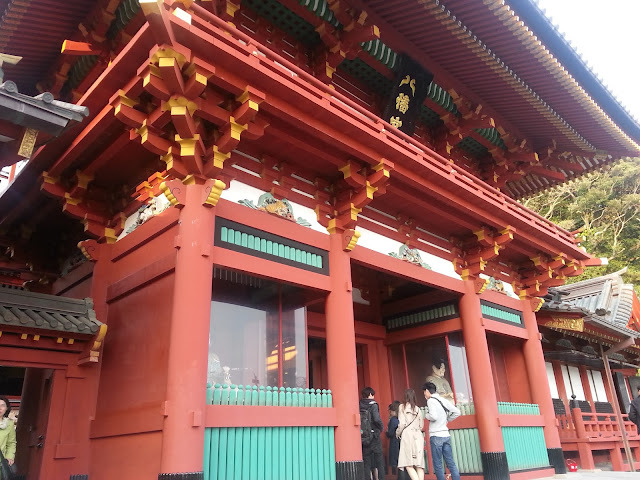 I went to Kamakura by elementary school trip.And I ate Nuresenbei. It's delicious! Please eat it next time. Wedding couple is so nice. 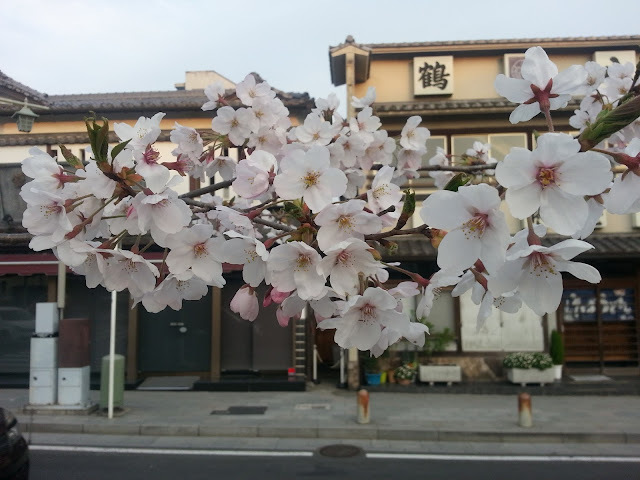 I wish that they become happy. 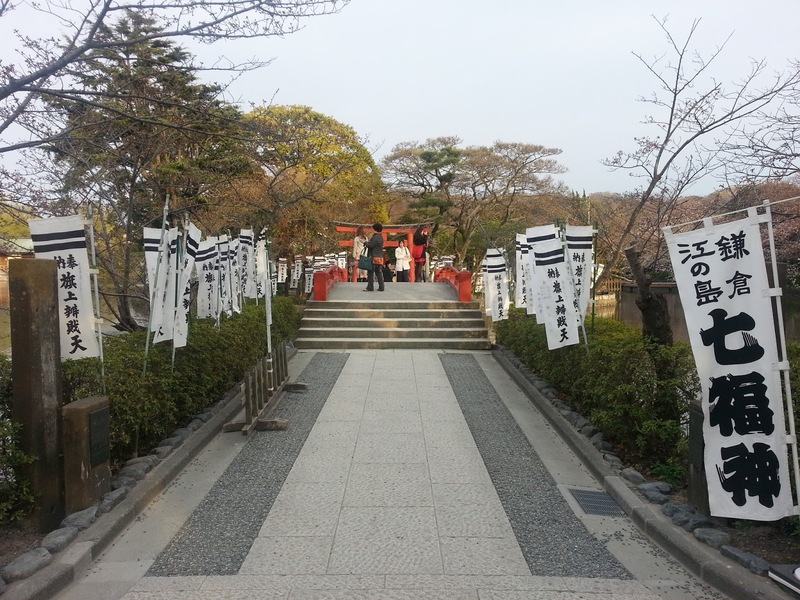 Tsurugaoka Hachimangu has history. So I think we should do importantly.